Made from soft 304 carbon steel to ensure a premium feel. High visual alignment stripes on the head help you align squarely at the hole. Full length face grooves help grab and grip the ball at impact to get putts rolling quicker. The only centre shafted mallet in our test, which is a shame as centre shafts are some of the easiest putters to set up and putt straight down the line with. 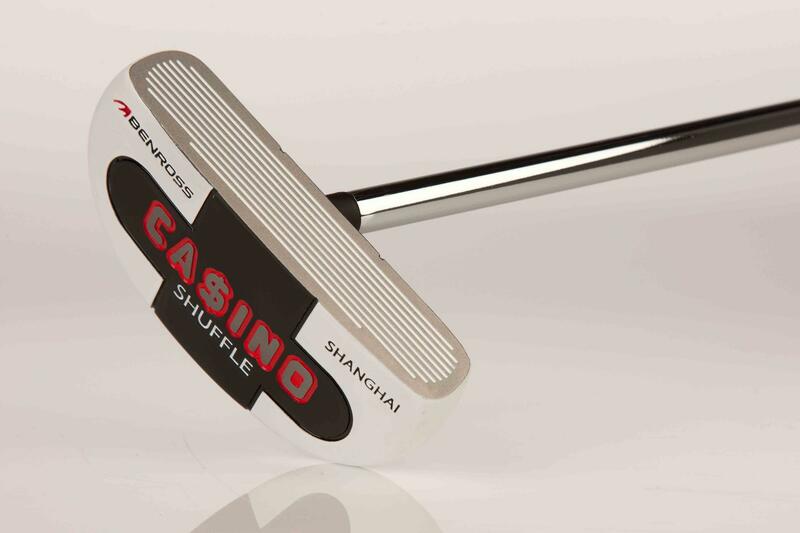 The Shanghai’s bold black and white body highlights alignment and the correct path to putt on brilliantly. Feel was pretty firm as there’s no insert but that’s not a criticism and very often is best suited to the slightly slower greens we putt on in the UK. It was mentioned the head’s on the smaller side which isn’t a criticism but is worth remembering if your stroke could do with extra help from wide body MOI performance. One of the lowest priced mallets in our test and it punches well above its weight in terms of performance. To buy an oversized grip alone nowadays will set you back at least £20, the Shanghai includes one and for an extra £40 you get a new putter to boot.